Large, tough and retro. 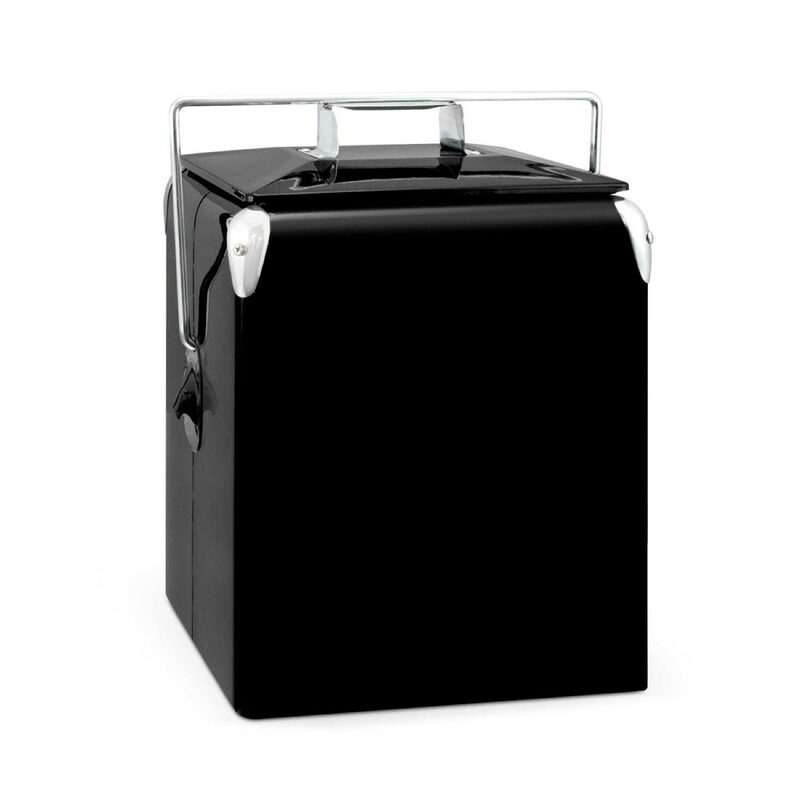 You will love these cooler boxes when promoting your logo. 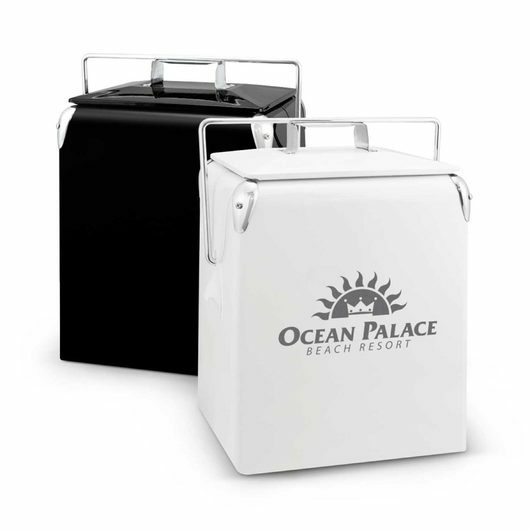 With a retro style and large decoration area these cooler boxes are an excellent promo gift and a must have addition to your next beach day or picnic at the park. 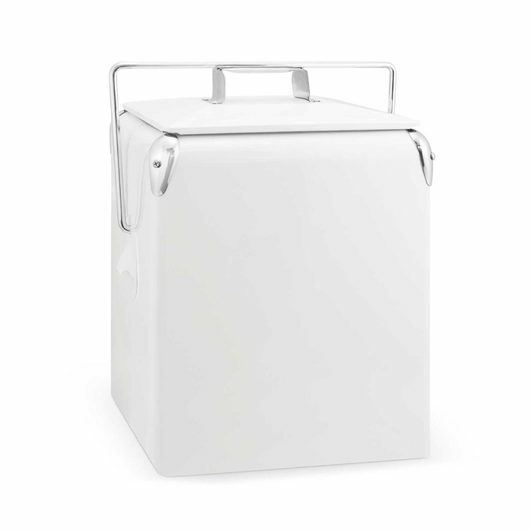 They feature a double wall build with tough powder coated steel outer wall and lid with aluminium inner walls. 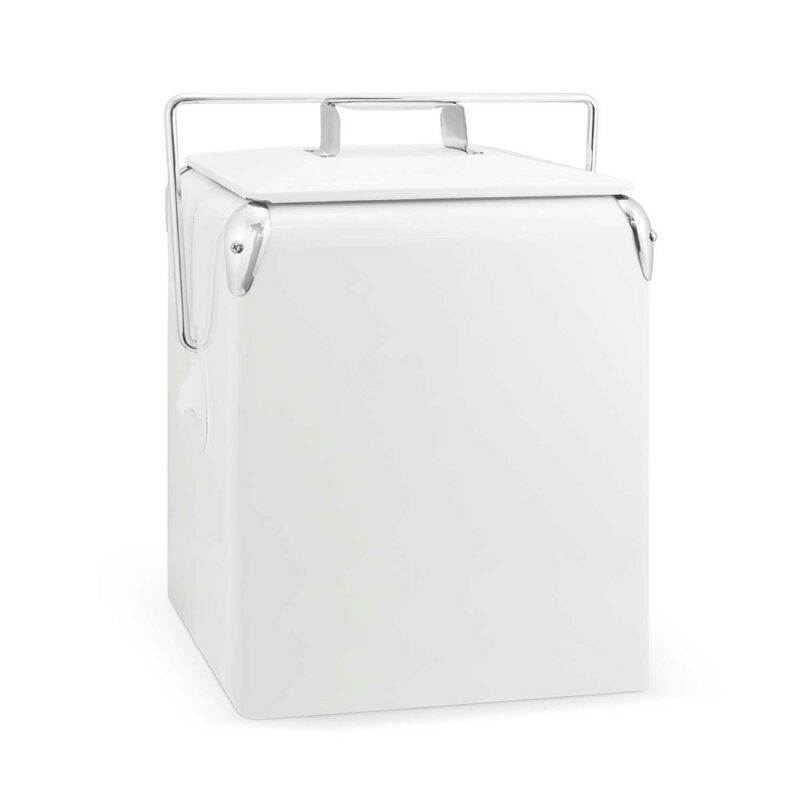 It has a polyurethane foam insulation between the walls and in the lid, keeping your drinks and food cool for longer. They have enough space to hold up to 6 bottles of wine along with some ice. Other features of the box includes: a chrome handle and locking bar, retro chrome accents and a bottle opener on one side.